Is a new type of half-coyote, half-wolf hybrid taking over North America? It sounds like the premise of a really bad SyFy movie, but it’s true. Well, sort of true. In 2013, a canine geneticist named Javier Monzón decided to investigate a curious group of coyotes living in northeastern North America. They’re bigger, stronger and faster than other coyotes, and have been for as much as one hundred years. Monzón and his team analysed genetic information from 427 canids (the group of animals that includes wolves, dogs, coyotes, foxes, and so on) living in northeastern United States and Canada, paying particular attention to parts of their genetic codes that could shed some light on their ancestry. The results? Monzón figured out that these "eastern coyotes" (or "coywolves", as they're sometimes called) are mostly made up of coyote – but about 10% of their DNA originally came from domestic dogs (which are themselves descended from wolves). Another 25% or so came from the wolves themselves, which helps to explain the Hulk-size stature of these creatures. As The Economist reports, it could be that this DNA hodgepodge swirling around inside of them has given the hybrids a leg-up on survival – versatile diets and the ability to adapt to new territories has allowed the coywolves to spread across the northeastern US, and even to infiltrate large cities like New York. And their numbers are growing. But does that make the coywolf a unique species, as some have suggested? It’s not quite that simple. The thing is, the three-way dog-coyote-wolf relationship is by no means unique in the animal kingdom. Genetic mixing among closely related species (and sometimes even more distantly related ones) happens all the time. And this sort of mixing occurs beyond the northeastern US. Coyotes, Mexican wolves and red wolves are known to interbreed in Texas. In North Carolina, coyotes mix with grey wolves, red wolves and domestic dogs. Eastern wolves pass genes between coyotes and western wolves by breeding with both in eastern Canada. Meanwhile, domestic dog genes pop up in Australian dingoes, European grey wolves and Ethiopian wolves. That's why Monzón argues that the common name "coywolf" fails to capture this complexity. It might not even make sense to ask if these mixed-up mutts each comprise new species, because nature simply isn’t as neat and orderly as we’d like it to be. Sometimes a lonely male wolf catches the eye of an eager female coyote, taxonomic boundaries be damned. Whatever the reason for the hybridisation – and whatever name you’d prefer to use for the mixed-up critters – it seems clear that by breeding with both wolves and dogs these unique coyotes can thrive in a wide range of landscapes. 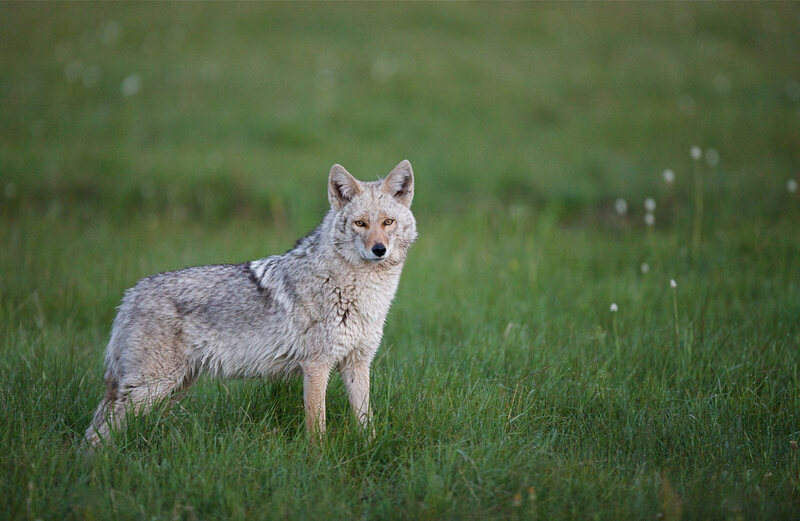 “A more diverse genome, with genes from both wolves and dogs, likely allowed northeastern coyotes to survive in new habitats, both forested and human-dominated,” writes Monzón. It just remains to be seen whether that’s ultimately a positive or negative trait for a predator typically reviled by our own species. Will Fido the dog feel thankful for your Thanksgiving leftovers?